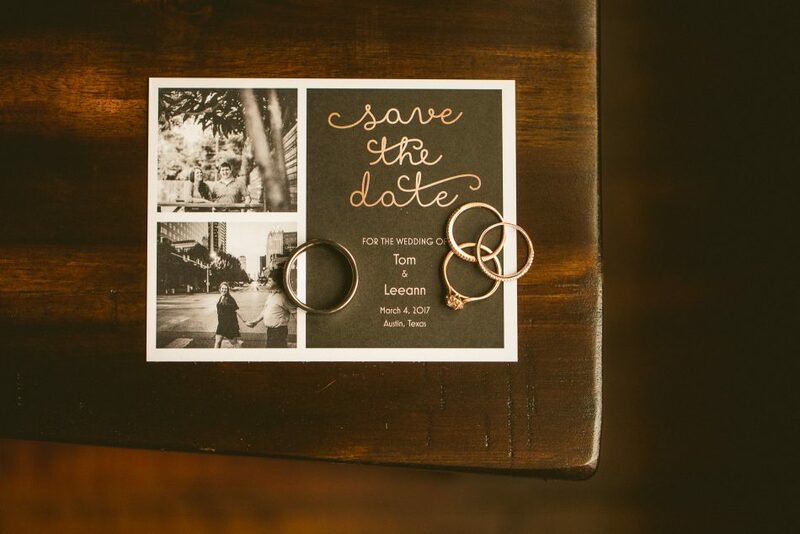 We loved hanging out with Leeann and Tom during their engagement session, so we were super excited to see them again on their wedding day! 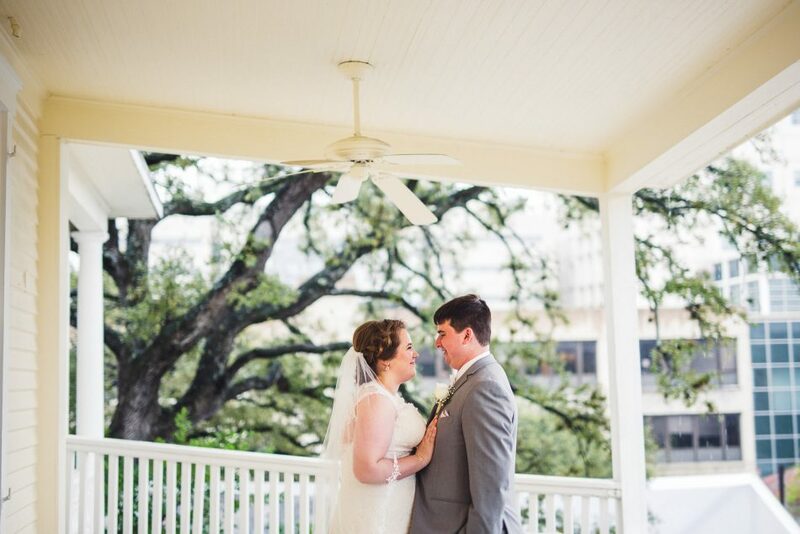 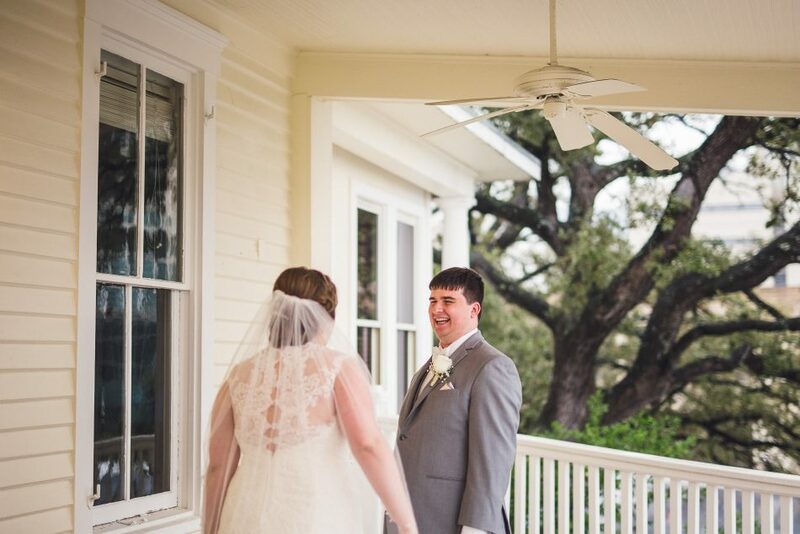 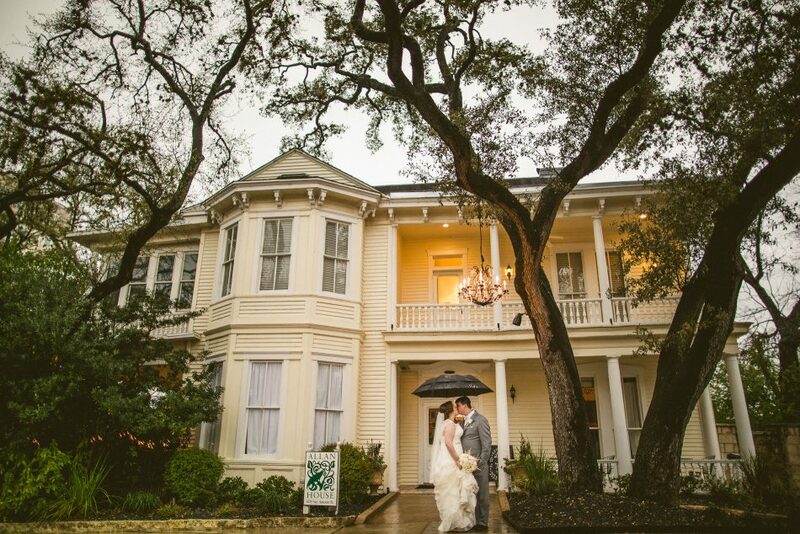 It was fun to be a part of Leeann and Tom’s rainy wedding at the Allan House, a gorgeous historic venue located near the Capitol in downtown Austin. 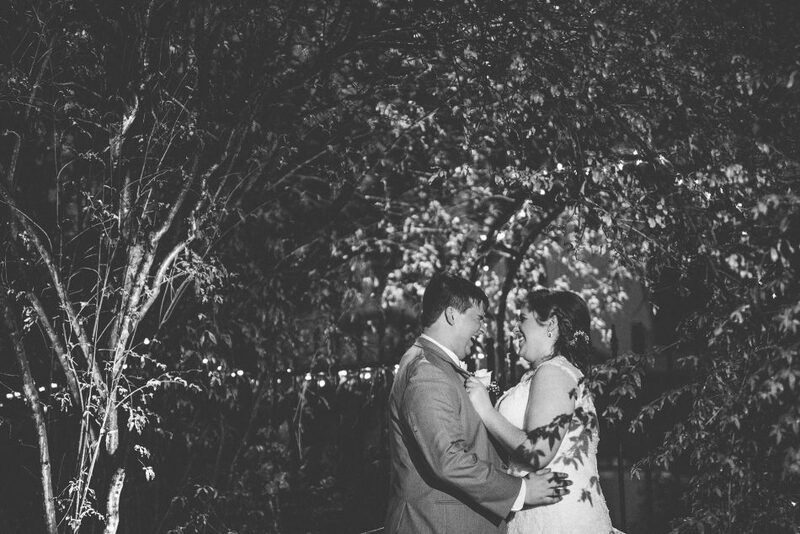 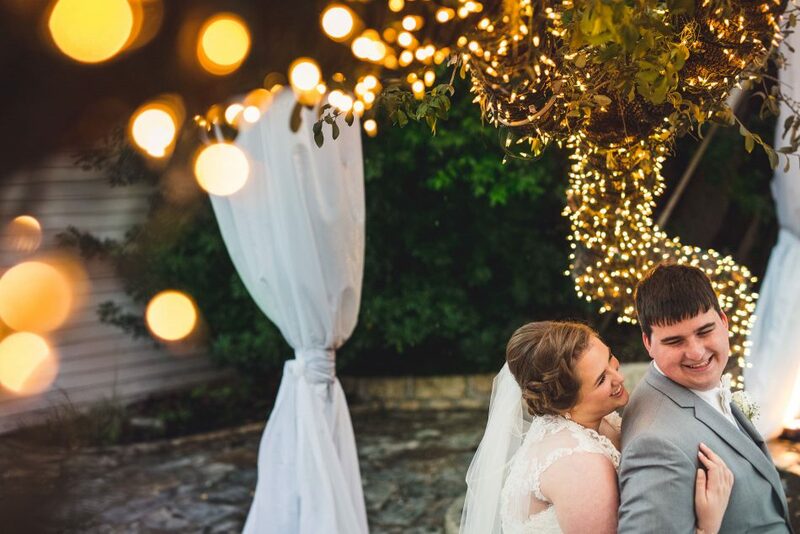 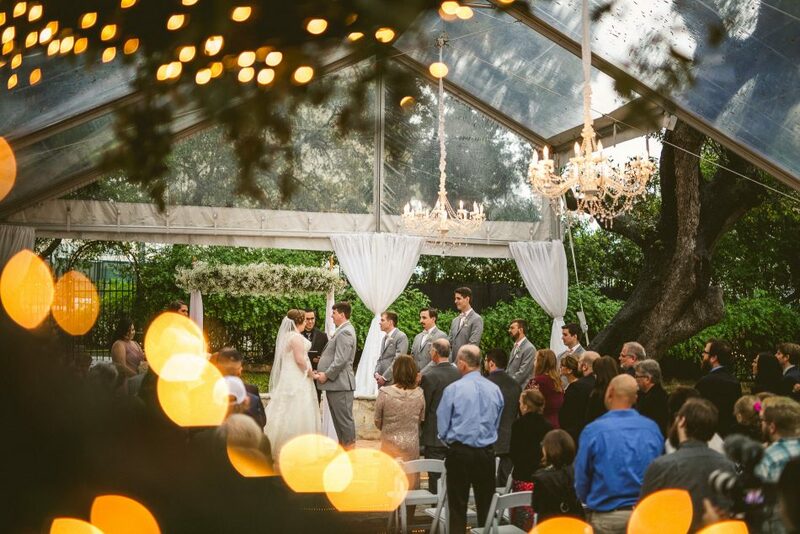 The venue has a courtyard with beautiful oak trees, chandeliers, and string lights. 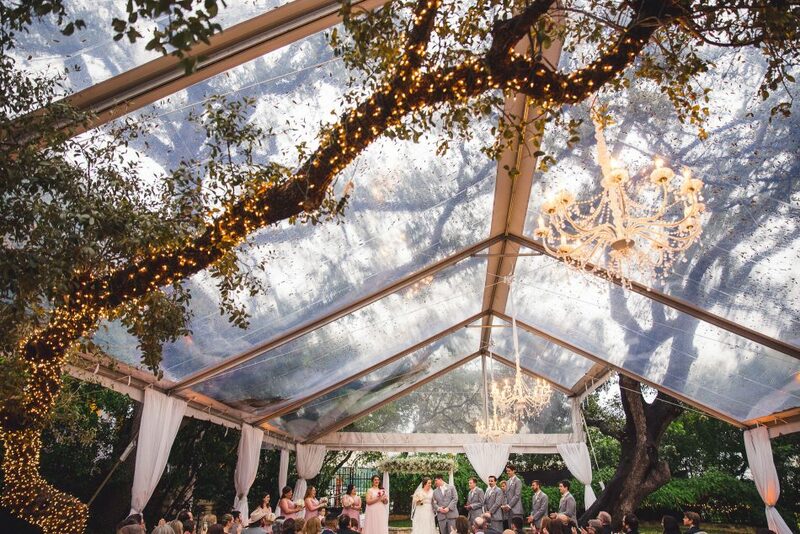 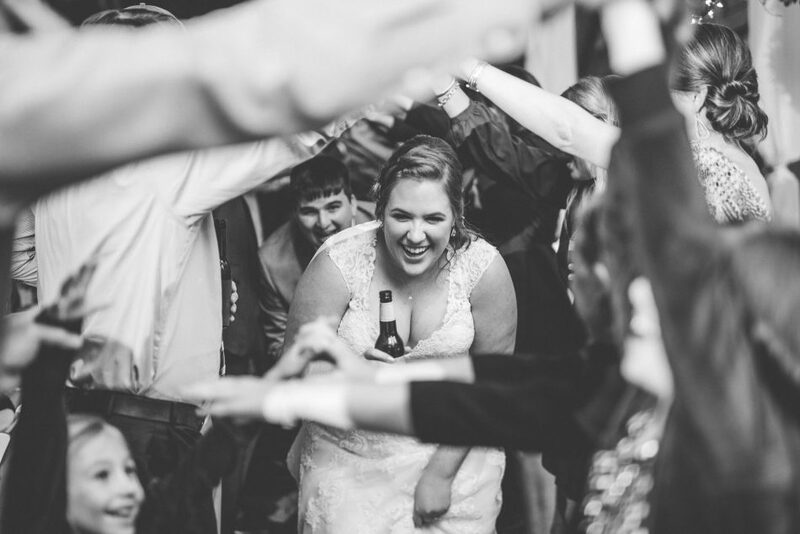 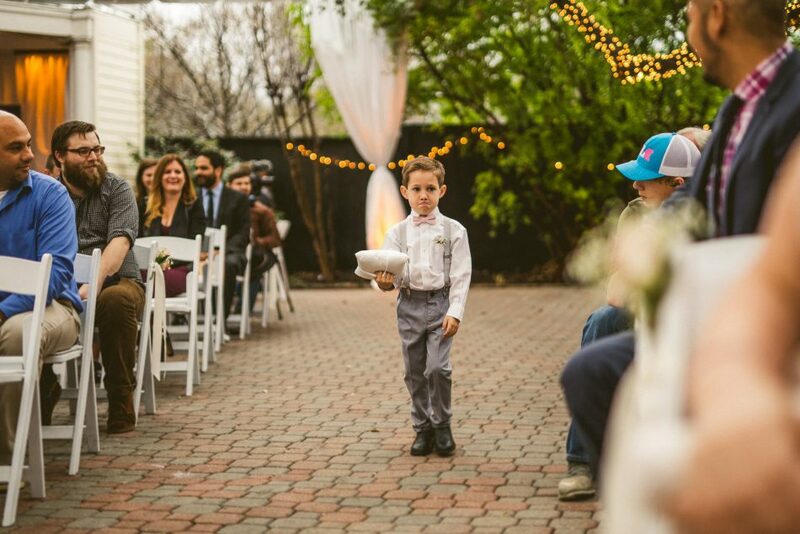 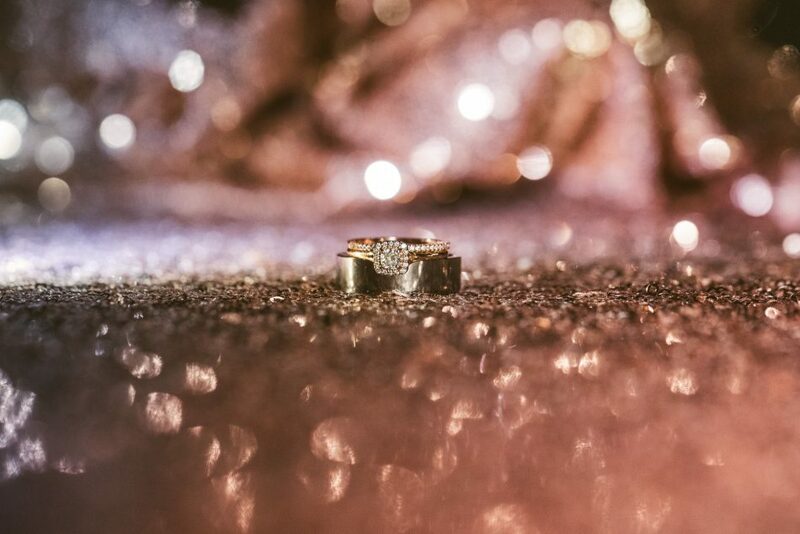 March is one of the most popular wedding months in Austin. 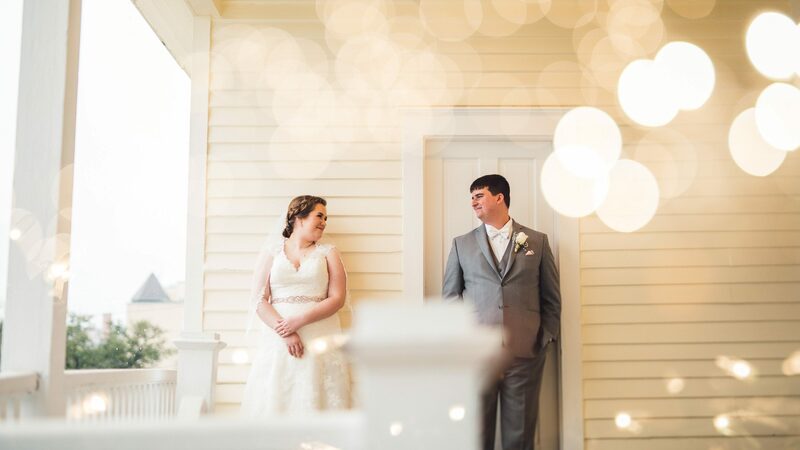 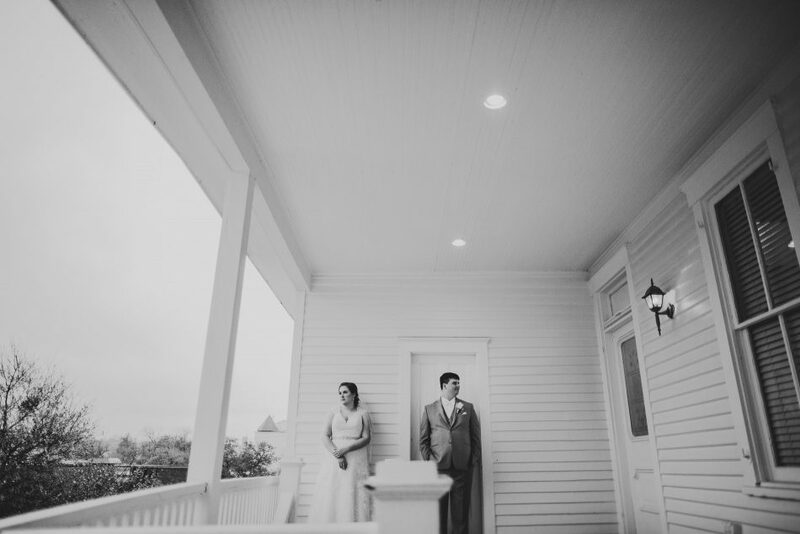 Even though it was raining, for part of the day, Leeann and Tom focused on the important things- their love for each other, their friends, and family! 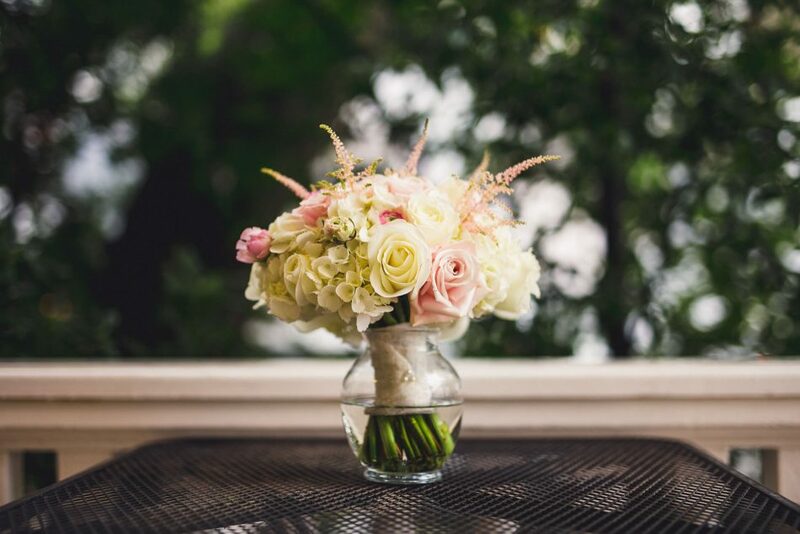 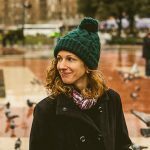 The day was full of positive energy and sweet moments. 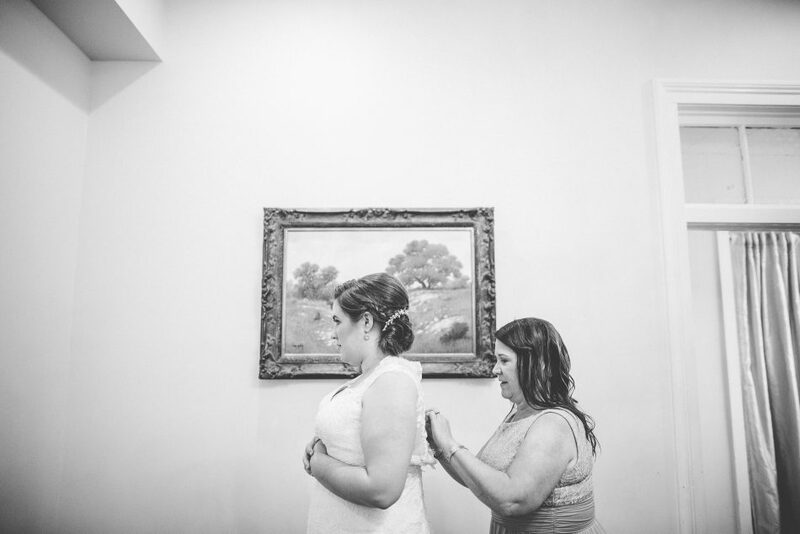 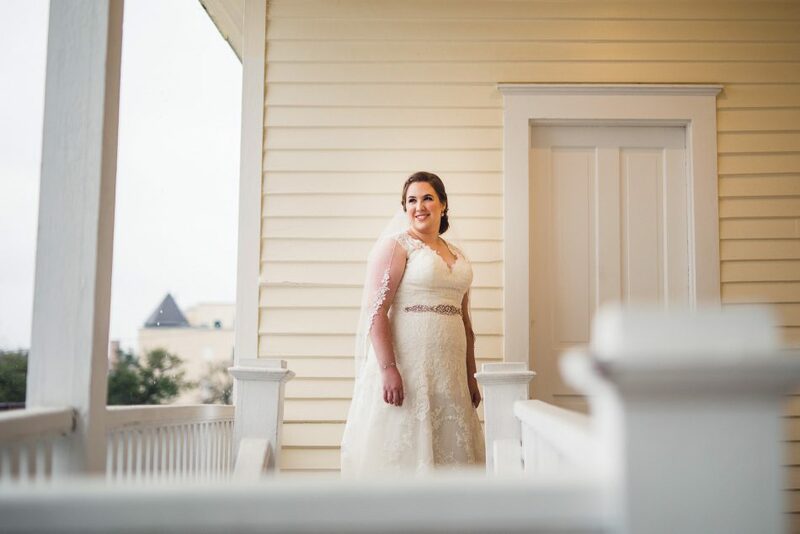 Leeann wore a beautiful lace wedding dress with a jeweled belt, a romantic braided updo, and a white and pink bouquet. 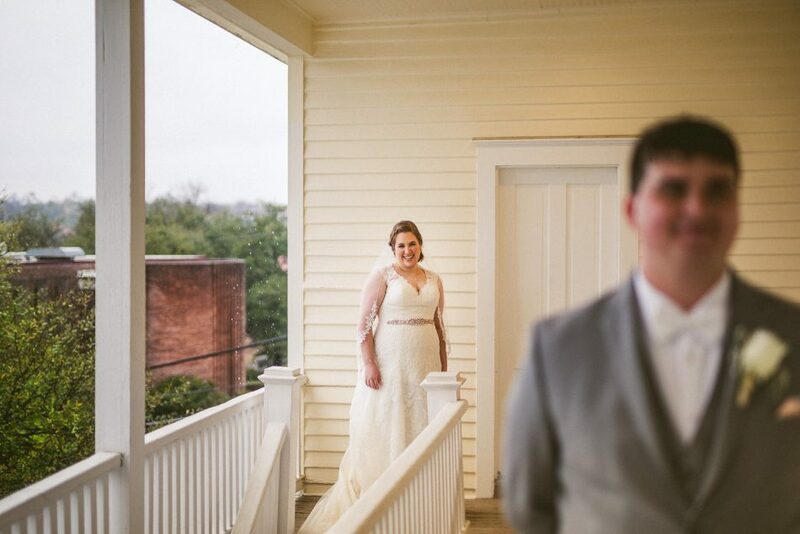 The bridesmaids wore pink dresses, and the groomsmen wore grey suits with pink bowties. 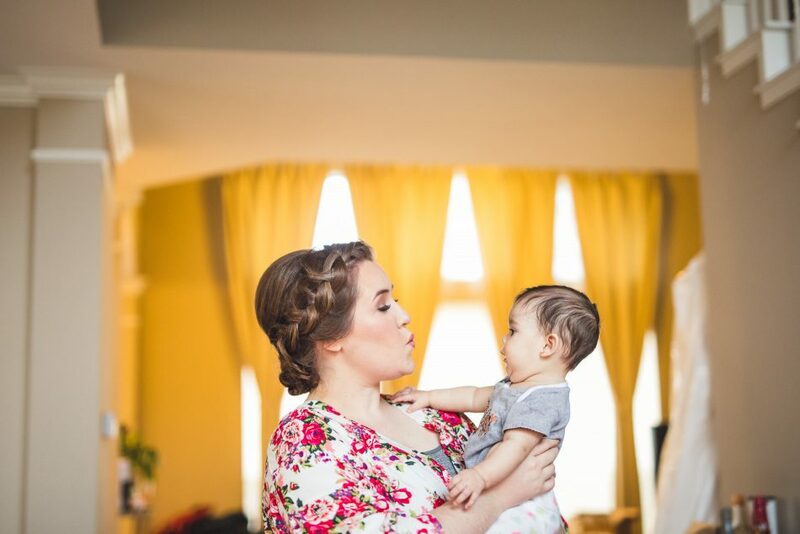 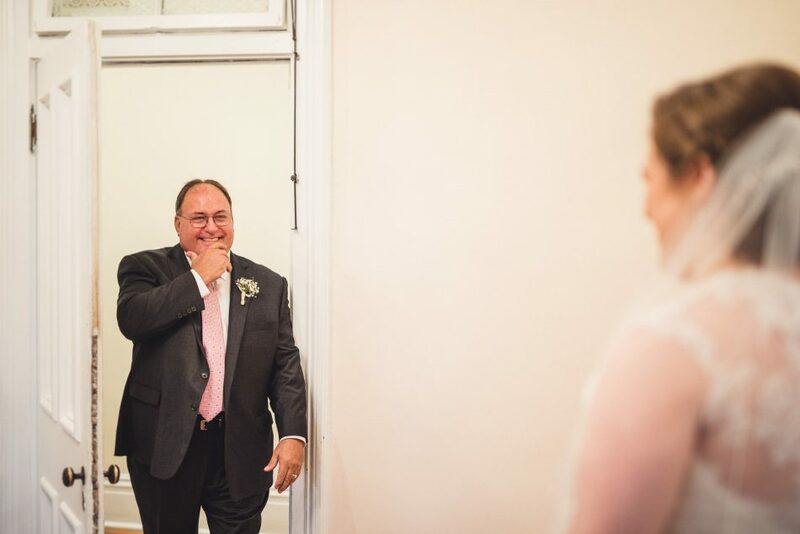 Leeann had a very sweet first look with first her dad, and another sweet first look with Tom. 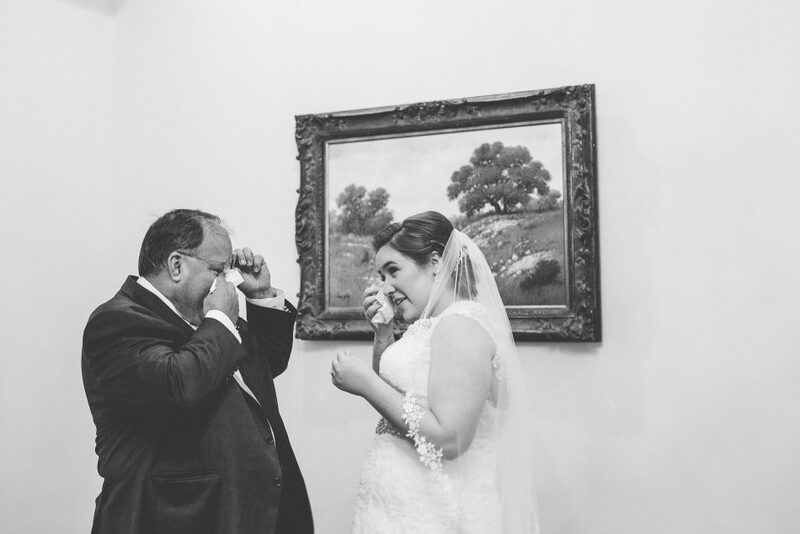 One of my favorite photos is the one of Leeann and her dad wiping their tears. 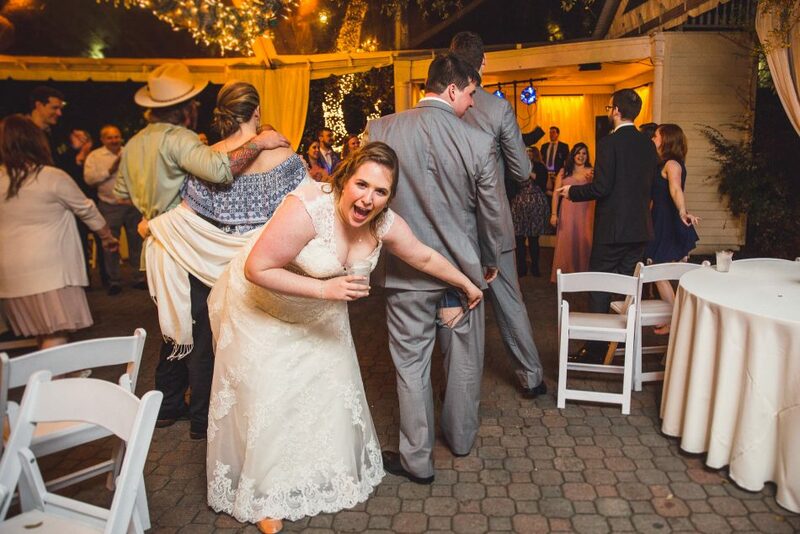 Tom and his buddies got into the dancing so much that his pants ripped! 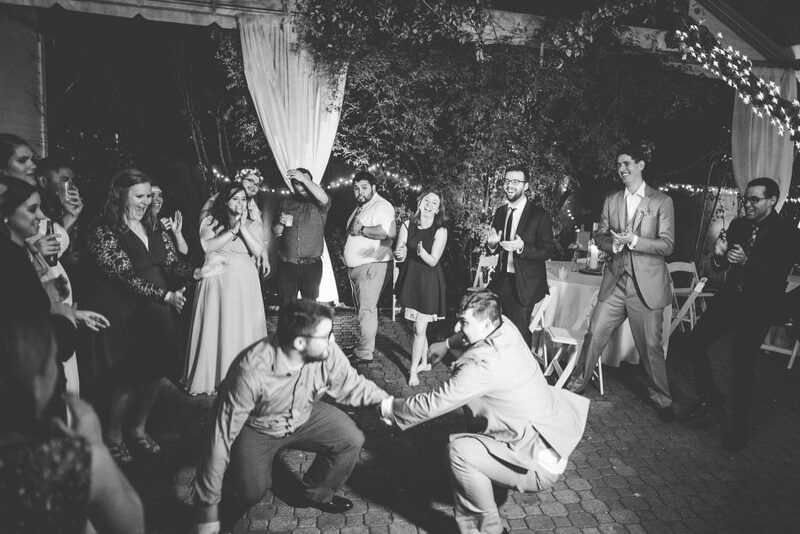 That was a really funny moment of the night. 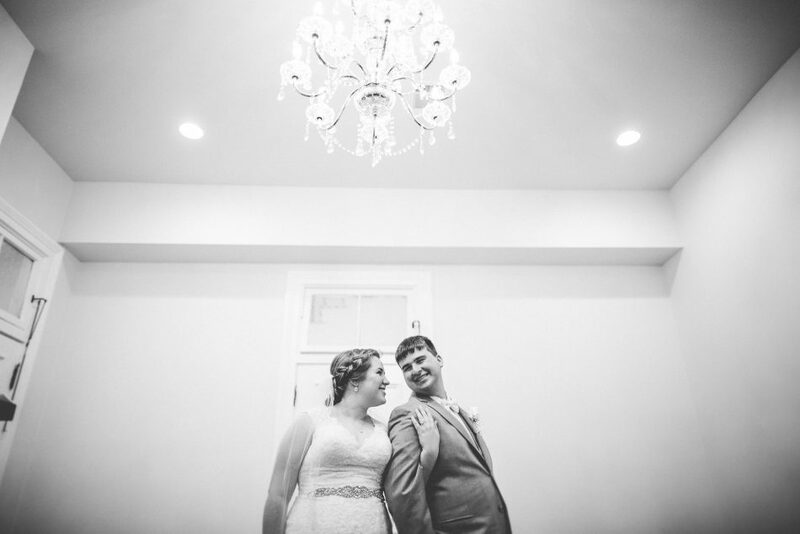 Leeann and Tom were such a happy, positive couple, and we loved capturing their personalities. 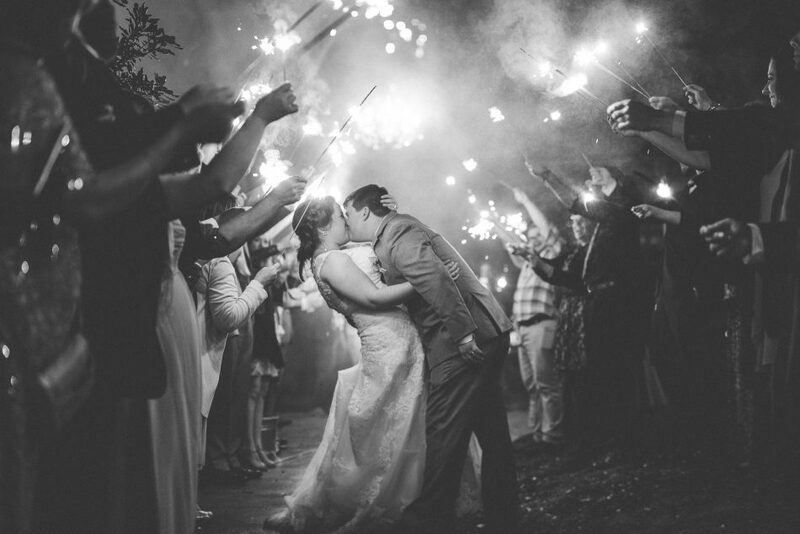 We loved their exit photo, when Leeann pulled Tom in for a passionate kiss and their friends cheered in celebration! 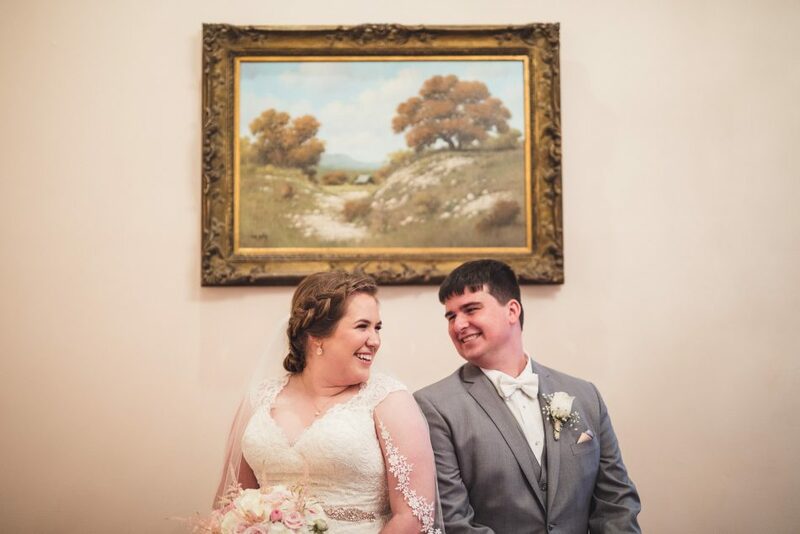 If you love this spring wedding at the Allan House, check out Lori and Kelsey’s brunched themed wedding here!